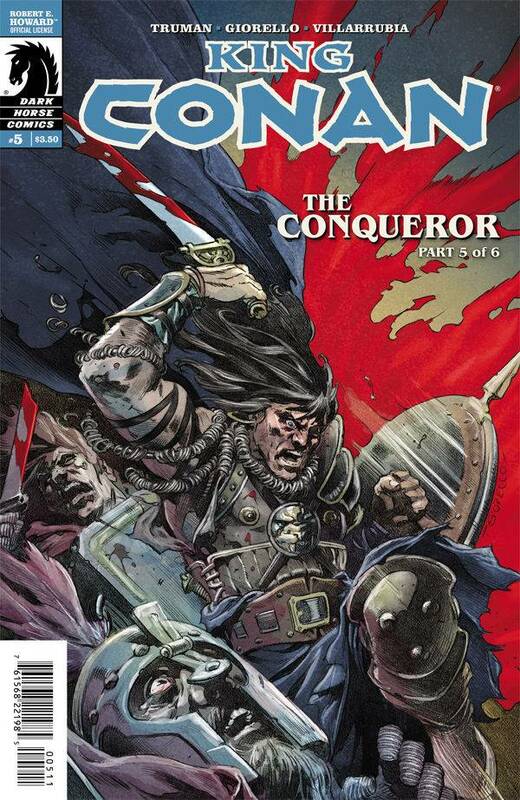 There is precious little I can say about King Conan: The Conqueror I have not said already in previous reviews. There is even less that I can say about this issue in specific. It is all climax and build-up for next issue's final battle between King Conan and the dark forces that have lain siege to his kingdom. Tim Truman's script does a fine job of adapting the original Robert E. Howard story but there is little he can do to speed the pacing of the climax. Still, while there is little direct action, the drama of the story is well-played. 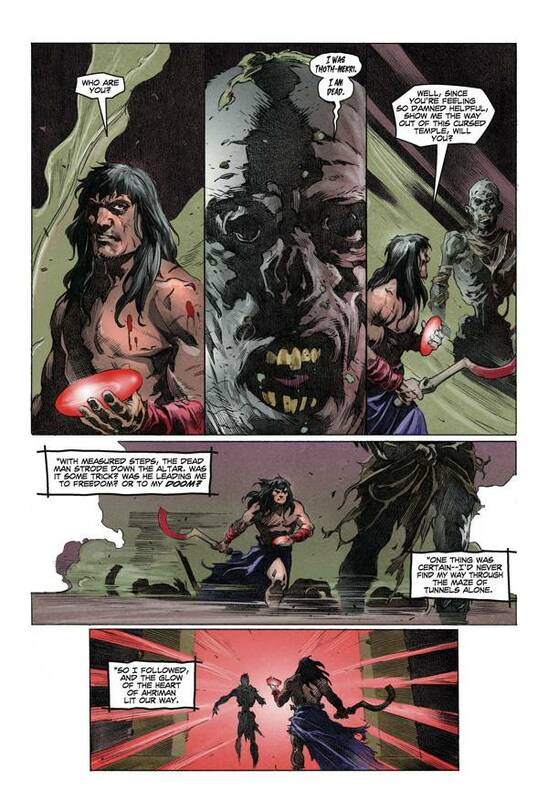 And the grim humor of Conan's character is evident throughout, serving as a striking counterpoint to the urgency of his situation. The artwork by Tomas Giorello and Jose Villarrubia is also of the highest quality. Giorello is one of the best modern artists to tackle Cimmeria's favorite son and Villarrubia's use of color is second to none. The only bad thing about this series is that we have but one issue left to look forward to.